After providing a near-daily review of the cards on their social media accounts and in high anticipation of both its Canadian retail debut and the Metroplex deck’s release, the Transformers Trading Card Game wants YOU to be their next Art Director! The Art Director will work with freelancers, external vendors, and in-house creative teams at all stages of development from conception through production. 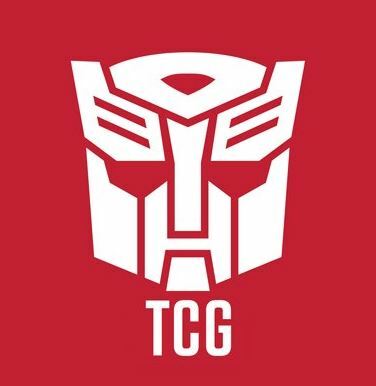 Under the direction of the Transformers Brand Manager, the Art Director will work to create concepts, pitch and produce materials to support Transformers product, meet the goals of the brand, and enhance the Wizards gaming experience to excite and inspire both of passionate Transformers fans and gamers alike. The Art Director will apply Transformers’ look and feel using all the tools of the modern creative – brand identity, structural packaging, graphic design, typography, photography as well as Transformers’ world-class illustrations. This is a tactical, hands on design role in which the Art Director is responsible for ensuring that the style and quality of all assets conforms to the vision and requirements defined by the product owners. See the rest of the job description below, apply here and then join in the discussion on the 2005 boards! Work with Transformers’ Brand Manger to develop, define, and communicate Transformers’ look & feel. 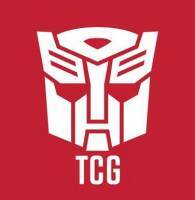 Develop and pitch creative concepts and strategies to team members, particularly the Transformers Brand Team. Refine based on team feedback. Commission a 3-4 batches of illustrations per year, with each batch containing approximately 100 illustrations. Work with existing illustrators and studios, identify and sign new talent, maintain relationships with those partners and provide direction via feedback to illustrators or studios for each commissioned piece. New product and packaging design through collaboration with Packaging Engineers and Graphic Designers. Collaborate with the Production Engineer to ensure all printed materials are produced to a consistently high standard. Provide direction for graphic designers on card treatments and iconography and individual graphic elements. Work together with Project Managers, Production Engineers, and Brand Managers to ensure high quality design. Work within budgets and schedules set forth by the Brand team and Project Managers. Understand and stay current with department and company processes. Present creative direction and providing constructive feedback in meetings and stand-up critiques. Review print-ready files to ensure final card quality. Do you work well with others? Are you a great collaborator? Can you respect the opinions of others while promoting a shared vision? Do you enjoy working and thrive without constant oversight? Are you adept at balancing aesthetic and production considerations? Can you keep the important details in focus while guiding the larger project to on-time completion? Are you familiar with the materials and manufacturing processes relating to consumer packaging/products? Does your design vision keep consumer the focus while meeting brand goals? Are you comfortable communicating using modern commercial illustration as your medium? Are you a fan of gaming (big plus for tabletop gaming!)? Are you a fan of Transformers – (big plus for G1 or Generations)? Can you use Adobe Photoshop, Illustrator, and InDesign like a pro? Microsoft office? FileMaker Pro familiarity a big plus. Are you proficient and up to date with design best practices? Do you give useful, actionable feedback to designers working on your projects? Link to online portfolio at time of application submission required. Your portfolio may include original work, but also including work which you art directed is critical. Have you been an art director for 2 or more years with experience in commissioning illustrations, graphic design, and packaging design?